Building a brick firebox is a do-it-yourself project whose complexity varies depending on your intentions for the firebox. Indoor fireboxes that are part of a larger fireplace must be exactingly constructed. An open-air firebox for the backyard is a much more casual project. The beauty of building your own firebox out of brick is that you can make it any size you want and won't have to pick from pre-built units that are not sized to fit your plans. Build your brick firebox on a fireproof foundation strong enough to support it. Before you start, check with your county or municipal building department for local regulations on fireboxes. 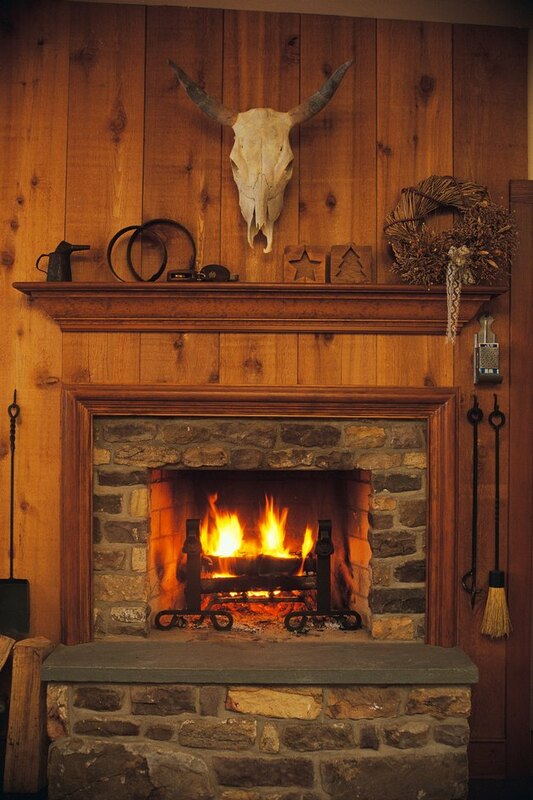 A brick firebox indoors must connect to a functioning chimney. Mark the dimensions of the interior of your firebox on the cement pad or hearth. Use a chalk line and straightedge to make straight lines that indicate the interior dimensions of your firebox. Use an existing firebox plan to ensure an efficient design. For example, the rear width of your firebox should equal the box's depth, and the height should not be greater than the width at the opening of the firebox. These proportions are suggested by Timberland Construction based on the respected Rumford guidelines for fireplaces. Stack the first layer of bricks along your guides to see how the first layer sits in place. Spread a thin layer of hydraulic refractory mortar on the bottoms and any sides of the firebricks that will touch other bricks. Build the bottom layer of brick by laying each brick in place and then tapping it gently with a rubber mallet. Repeat until the entire bottom layer is mortared together. Add the first brick of the second layer in the same way as you did the first layer, but stop when you reach the corner. Build the corners so that they interlock to increase the strength of the box. So, if the bricks on the sides reach the back wall on the first layer, place the bricks on the back wall so they reach the outsides of the side walls on the second layer. Check the firebox after you install each subsequent layer to ensure that each is level. If your level shows inconsistencies, remove or add mortar to correct the problem. Build a layer of brick around the outside of the firebrick using the same mortaring procedure. Continue to build outward until you have at least 8 inches of brick outside each side of the firebrick, or until the fireplace is as large as you want it to be.